As you already know, there are many important reasons to keep your house clean. 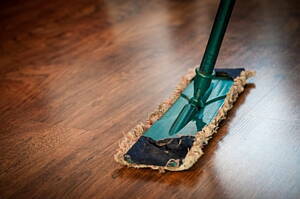 A clean house is essential not only to make our daily life easier but also for our health. It happens the same at work. Reducing the risks of illness is only one of the reasons why to properly keep the office clean. It takes even more importance when the work performance involves the use of chemicals or substances that, when they aren’t properly cleaned, can damage materials and involve risks. Luckily, the best cleaning companies in Farnham offer industrial cleaning services and count with the best cleaning products and cleaning chemicals, obtaining great results. On the other side, due to our busy lives, it hard to find time to keep up with our house cleaning schedule. Hiring domestic cleaning services is the perfect solution to enjoy a spotless home. Cleaners know better than you how to properly carry all the cleaning tasks and they can also take over your laundry if needed. Even if you like to clean the house yourself, you should take into consideration housekeeping services from now and then, since they will provide a deeper and more detailed cleaning. For example, for spring cleaning. Among all the cleaning companies you can see in our list, you could spot specialized ones, like carpet cleaning companies or dry cleaners, for example. Knowing the importance of a clean home, do not hesitate and get in contact with the best cleaning companies in Farnham. At Infoisinfo we always work hard to be able to provide you with the most useful information possible so that you can easily find the best products and services for you or your company in Farnham. We know how important it is for you to keep your home and workplace clean, so we want to help you find quality cleaning services. Therefore, we have prepared a list of the best cleaning companies in Farnham for you to choose from. Get in touch thanks to the contact details provided, such as phone numbers, address, websites and opening times. In addition, you can have a look at comments and valuations from other clients to get a better idea about the cleaning companies.